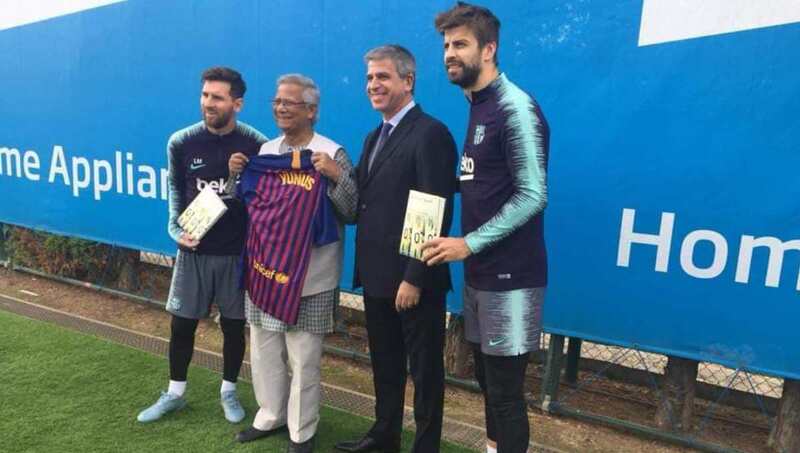 Barça Vice President Jordi Mestre received Prof Yunus at Camp Nou on Wednesday where he met star players like Lionel Messi, Gerard Picque, Eric Abidal and Samuel Umtiti. Now he declares it is time to admit that the capitalist engine is broken – that in its current form it inevitably leads to rampant inequality, massive unemployment, and environmental destruction. Prof Yunus invited young people, business and political leaders, and ordinary citizens to join the movement and help create the better world “we all dream of”.